Bosnian refugees: Peter Lippman (right), a staff writer at AP, profiled a campaign by by Bosnian Muslims to return home after the war. They included Emsuda Mucagic, center, the inspiring head of Screm Do Mira who returned to the town of Kozarac. The Advocacy Project was created in 1998 when a group of friends was commissioned to produce daily reports from the Rome Conference, called to draft the statute for an International Criminal Court. We were contracted by the Coalition for the International Criminal Court (CICC), which had lobbied long and hard for a more forceful response to the horrors of war. Our team was led by Iain Guest, an experienced journalist and former UN official. The project took place over a period of six weeks. The AP team produced 23 editions of an online newsletter, On the Record, which were sent out to Coalition members around the world. On the Record was also published in the NGO newspaper, Terra Viva, which was distributed at the actual conference. Our reports were well received and helped to put at least one important new provision into the ICC statute, declaring attacks on aid workers to be war crimes (8 2 (b) iii). AP on assignment: Peter Lippman, Teresa Crawford and Manisha Thomas in northeast Bosnia, 1999. After Rome, the AP team reconvened to report from several more international meetings, including the 1999 Executive Committee meeting of the UN refugee agency (UNHCR); Amnesty International’s 1999 conference on human rights defenders; and a special session of the Nobel prize-winning International Coalition to Ban Landmines (ICBL) in 1999. We also reported from Kosovo for the International Council of Voluntary Agencies (ICVA), a large network of humanitarian agencies with headquarters in Geneva. Manisha Thomas, a core AP team member, was seconded to ICVA to help develop a website and newsletter. Both came on stream by mid-1999. AP continued to help NGOs advocate at international meetings. Between 2001 and 2002 we also worked with the NGO Committee for UNICEF to produce a printed daily paper, newsletter and website for the 2002 Special Session of the UN General Assembly on Children. We also organized training sessions for young journalists at the conference which was extremely popular. By this time the focus of our work was shifting from international meetings to reporting on civil society campaigns, particularly in countries emerging from crisis. Kosovo had been an early concern. 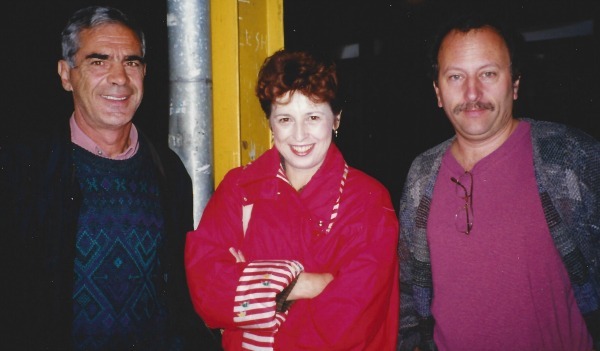 Two of our core AP team members, Teresa Crawford and Peter Lippman, had been arrested by the Serbian authorities in Kosovo in 1998 for visiting student activists. They returned after the war in 1999 for AP to work with Kosovo’s fledgling civil society, and developed particularly close ties with a women’s group named Motrat Qiriazi, led by the prominent journalist Igo Rogova. Teresa then stayed on in Kosovo for 6 months to co-direct a new project, the Internet Project Kosovo (IPKO). Within a year, IPKO was providing connectivity for 75% of all Kosovars. In 2010 IPKO was divided into a for-profit company (which was sold to the Slovenian telecommunications company for several million dollars) and a not-for-profit foundation that provides free connectivity to civil society. IPKO’s first manager, Akan Ismaili, is currently Kosovo’s ambassador in the US (2014). AP’s connections with Kosovo have remained strong, thanks to Teresa. Trafficking in Nigeria: Sigi Friedman was part of an AP team which helped the Women’s Consortium of Nigeria launch a campaign on trafficking in 2000. She is seen with Olabisi Olateru Olagbegi, the founder of WOCON. Bosnia was another early preoccupation for AP. Peter Lippman went to Bosnia to profile the efforts of Bosnian Muslims to reverse ethnic cleansing and return home after the war. He began with Screm do Mira, in Kozarac, and its inspiring founder Emsuda Mujagic (photo). Over the next few years, Peter returned repeatedly to Bosnia to produce diaries and content for our newsletter On the Record, and to build partnerships with community advocates. These advocates included the Bosnian women’s group BOSFAM, which represents survivors of the 1995 Srebrenica massacre. Iain Guest from AP also visited eastern Bosnia, which he knew from the war, and by 2003 AP was in a position to help BOSFAM launch a sustained campaign to publicize the needs of Srebrenica survivors. We also established a partnership with the Srebrenica Forum of NGOs, a multiethnic network of NGOs that worked from Srebrenica. The partnership with BOSFAM also gave us the idea for advocacy quilting. Our commitment to BOSFAM remains firm. All of these reports were sent by email to our listserv as an edition of our newsletter, On the Record. Most were welcomed by partners, although our support for Palestinian civil society attracted a venomous response from a self-styled watchdog, the NGO Monitor in Israel. Back issues of On the Record are being posted on this website under the relevant partner page, or in our archives. 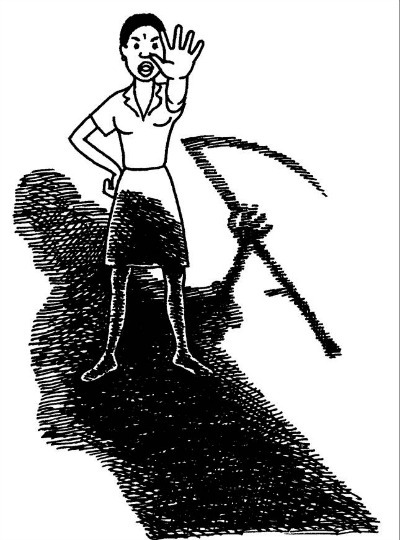 Youth against AIDS: Regina Doyle produced this cartoon for AP’s conference newspaper at the UN summit on children (2001). This produced some effective partnerships. In 2002, Teresa Crawford trained five young techies from the Roma communities in East Europe, to serve as eRiders (NGO IT trainers) and support community-based Roma campaigns in five countries. This pioneering project was profiled in Transitions Online. Teresa also returned to Kosovo for AP to help the Kosova Women’s Network, recently formed by AP’s old friend Igo Rogova. Teresa trained a young Kosovar e-Rider. Together they produced a website, connected three quarters of the network members, and also produced a newsletter. In 2003, our support for partners undertook another shift. Instead of us telling the story, we decided to help partners produce their own information for use in campaigns. Early on we also decided to integrate IT support into our services for partners. Our early work with IT was profiled in Wired.com and by the Social Science Research Council. 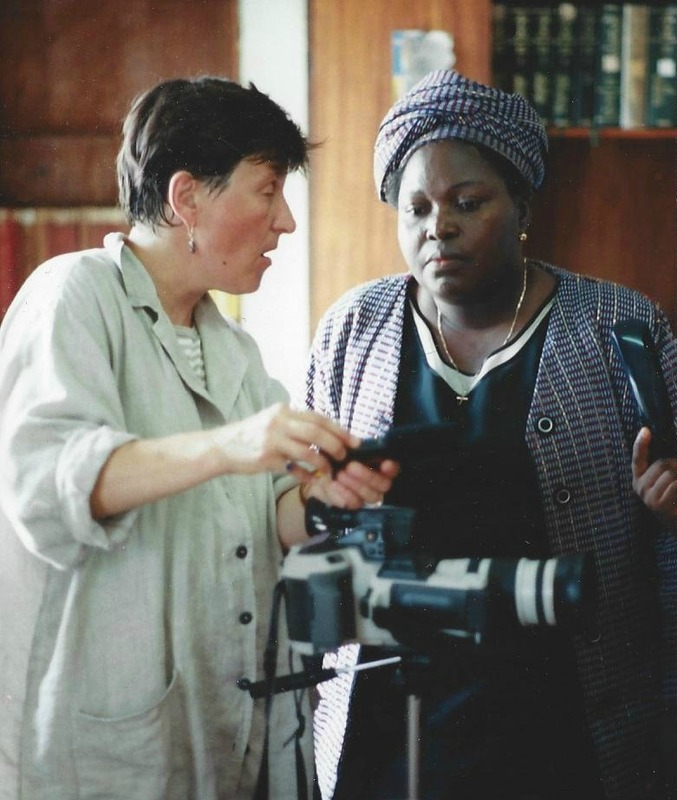 In 2003 we asked Mary Moore, an experienced journalist, to take the same services to the new Afghan Women’s Network. Mary produced a substantial package – website, newsletter, bulletins, press releases – and also trained AWN members in IT. This partnership with the AWN in turn led to a program to support a wonderful initiative to bring girls’ education to a remote part of Wardak province, led by Sadiqa Basiri from the AWN. The KWN and AWN programs were both funded by the Open Society Institute. Within a year, both networks had posted their own websites and produced newsletters in the local language. They continue to use these online tools in their advocacy to this day. Based on this, the AP Board decided to integrate IT support and website development into all future AP programs. We also decided to disseminate news about partners in the form of new bulletins, rather than extended online issues of On the Record. By 2003, AP was in touch with over 50 CBOs and wondering how to provide them all with support that would be regular, useful and sustained. We turned to interns. AP’s founder, Iain Guest appealed for volunteers in his class at Georgetown University, and eight graduates signed on for the summer of 2003. In the ten years between 2003 and 2017, we recruited 295 Peace Fellows and the program went from strength top strength. It is described on these inner pages. 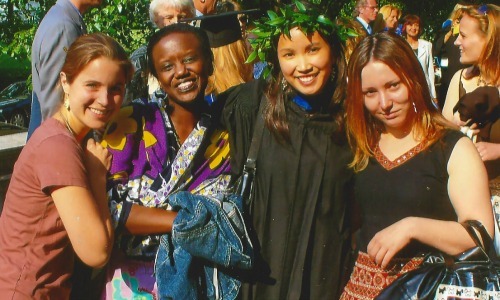 The 2006 AP core team from left: Stacy Kosko, Mendi Njonjo, Stephanie Salazar, and Evelina Hobson. By 2003, AP’s model of support for community-based activism was more or less set in stone. In the years since we have, of course, made improvements and added features – most notably advocacy quilting. In recent years we have also focused most of our energy and resources on a small number of field programs, which produce clear and measurable changes. But the core idea – of helping the voiceless to find their voice – has remained constant. We hope this is reflected in this site.